The purpose of White Cane Days is two fold. First and primary is to educate the world about blindness and how the blind and visually impaired can live and work independently while giving back to their communities, to celebrate the abilities and successes achieved by blind people in a sighted world and to honor the many contributions being made by the blind and visually impaired. Second, to raise funds in support of providing this education and to assist those who have sight issues. Laingsburg Lions holds their White Cane days collection two weeks before the annual springtime festival. Normally 100% of the money we make from our events like the Springtime Festival is used towards projects that benefit the community in some way. This is the one event where we divy up the proceeds and deliver the majority share to projects we support that are typically sight related. 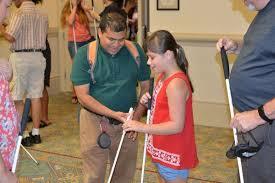 The National Federation of the Blind believes that a long white cane is a means to independence. The white cane has been proven to be a useful tool to those millions of blind people who need to be mobile in todays world. The white cane assist those with vision difficulties by allowing one to more confident. 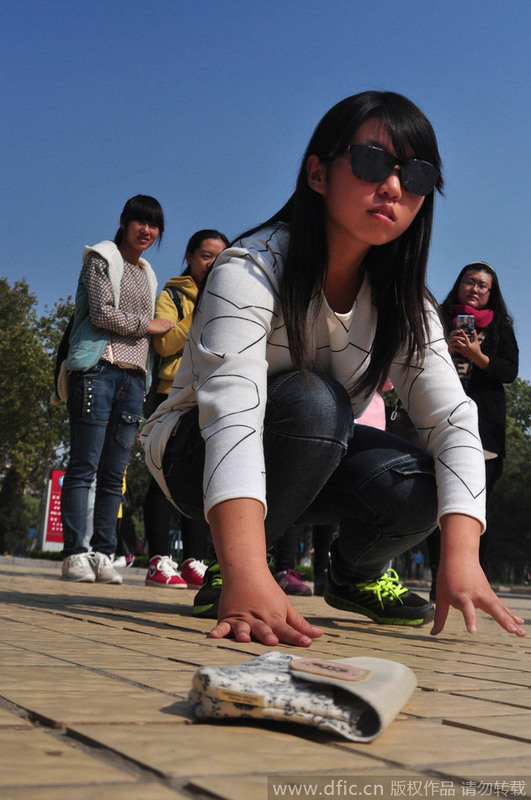 It also allows blind people to more safely travel where and when they want. If you are in need of a white cane, you may access the National Federation of the Blind website by clicking on this link. There you will find a online application or the option of downloading a pdf application as well as other information pertaining to white cane options. In 1930, the late George A. Bonham, President of the Peoria Lions Club (Illinois) introduced the idea of using the white cane with a red band as a means of assisting the blind in independent mobility. The Peoria Lions approved the idea, white canes were made and distributed, and the Peoria City Council adopted an ordinance giving the bearers the right-ofway to cross the street. News of the club’s activity spread quickly to other Lions clubs throughout the United States, and their visually handicapped friends experimented with the white canes. 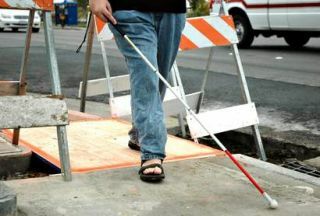 Overwhelming acceptance of the white cane idea by the blind and sighted alike quickly gave cane users a unique method of identifying their special need for travel consideration among their sighted counterparts. 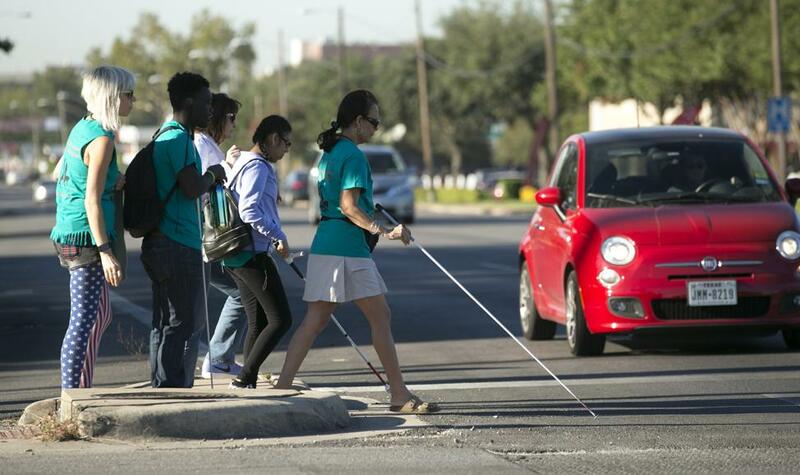 Today white cane laws are on the books of every state in the US and many other countries, providing blind persons a legal status in traffic. The white cane now universally acknowledges that the bearer is blind. For specific information contact your local government office for motor vehicles. Both the Springtime Festival and White Cane Days are the Laingsburg Lion Clubs largest fundraisers, please come down and help support our great community.